[T]here are indications that the Kaduna School Feeding Programme may not stand the test of time due to the too many underlying challenges it is going through at the moment. 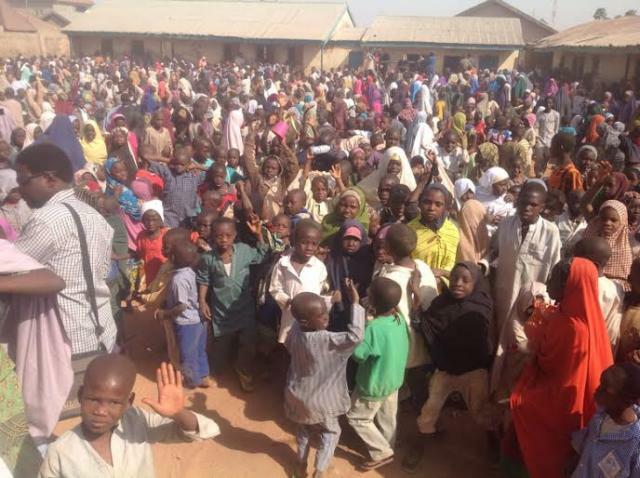 Kaduna State Governor, Mallam Nasir El-Rufai had on January 18, 2016 launched the programme for 1.8 million pupils in public primary schools across the state. The governor had during the period of electioneering promised to feed Kaduna pupils for free in order to among other objectives take that burdern away from parents, encourage school enrollment and create employment opportunities for mostly women. The decision to implement the programme however generated lot of controversy with critics labelling it a misplaced prioroty. Some observers opined that the state government should have rather renovated the over 4000 public primary schools in the state majority of which were in bad shape. Rather than feed the pupils, they said the governor should have provided facilities like toilets and water for the schools. 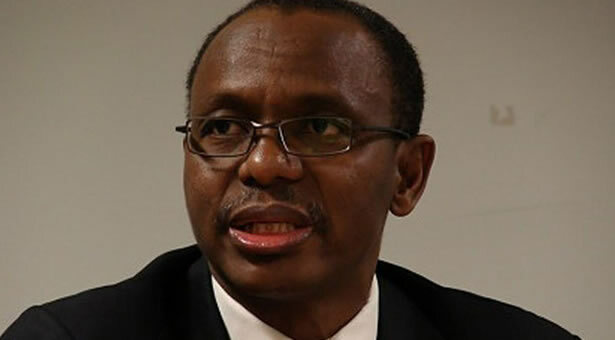 There were also insinuations in some quarters that Kaduna state may have opted to serve as a test run centre for the Federal Government School Feeding Programme which was captured in the 2016 budget. 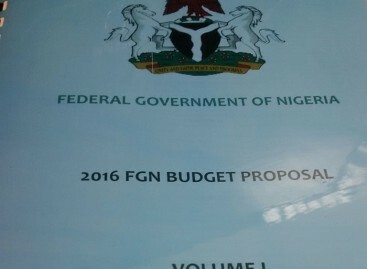 According to the 2016 budget signed by President Muhammadu Buhari, 93.1 billion naira was earmarked to feed about 5.5 million kids for 200 days. Governor El-Rufai who defied critics and launched the programme at Aliyu Makama Road Primary School, Barnawa area of the metropolis, said the feeding programme had provided jobs to over 16000 women in the state. He disclosed that N90 million will be spent per day at N50 per meal to feed 1.8 million pupils in public schools in the state. “Every school day, the Kaduna State Government will be providing a meal for 1.8million primary school pupils. It is an unprecedented undertaking in this state, but one that we solemnly pledged to do when we were campaigning. “It is a challenge in terms of its scale, cost and the logistics required to deliver the meals every day. But our children deserve this, and more,” the governor had said. While the state government has been basking in the euphoria of the reported success of the programme especially in terms of school enrolment and attendance by pupils, an investigation by Thinkers Newspaper has unearthed cases of fraud allegedly perptrated by government officials who shortchange both pupils and food vendors. Our investigation revealed that disbursement of funds to food vendors engaged for the programme has from the beginning been enmeshed in one form of scandal or the other. We gathered that when the programme began, 23,000 naira was earmarked by the Ministry of Education to be given to each of the food vendors on a weekly basis to cover cost of cooking and wages. School Headmasters and Education Secretaries in Local Government Areas have according to our findings allegedly devised a means of feeding fat from the scheme by making sure these monies are not dusbursed as planned. While some of the food vendors are being given N10,000 or N15000 weekly instead of N23000, some are often completely omitted and are not mobilized to cook for the kids at all. The inital practice was to pay the women their weekly dues across the counter but to reduce the incidence of short-payment and wilful omission, the state government asked them to open bank accounts for the purpose of receiving their monies. This, according to our findings has however not solved the problem as corrupt practices continue unabated and the government seem helpless on the next line of action. In Rigasa under Igabi Local government Area, some vendors have also complained about the replacement of their names with the wives, sisters and relatives of certain officials. Some food vendors also told Thinkers that some officials demand some form of gratification from them before paying their weekly dues. Those who refused to give have been replaced or sacked without replacement. Thinkers Newspaper discovered that the above factors have rendered the scheme inefficient in parts of the state. In fact, the programme could not take off in Giwa, Jaba and Kachia Local Government Areas as planned because the respective officials misnanaged the funds and could not mobilize the food vendors to start work. 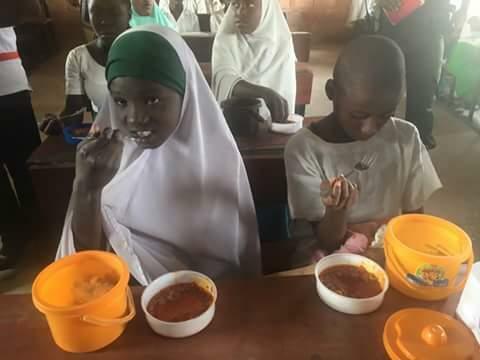 Our correspondent who moved round the state to monitor the programme observed that feeding has been irregular in some schools within Igabi local government. For instance, for the past one month, vendors have not cooked at all in some schools in the local govermment, namely LEA Bakin Ruwa, LEA Unguwar Mu’azu 1 and 2, Community Primary school Unguwar Mai Kanti among others. Our correspondents also gathered that the entire programme has been halted in some schools as the authorities have failed to mobilize the vendors. 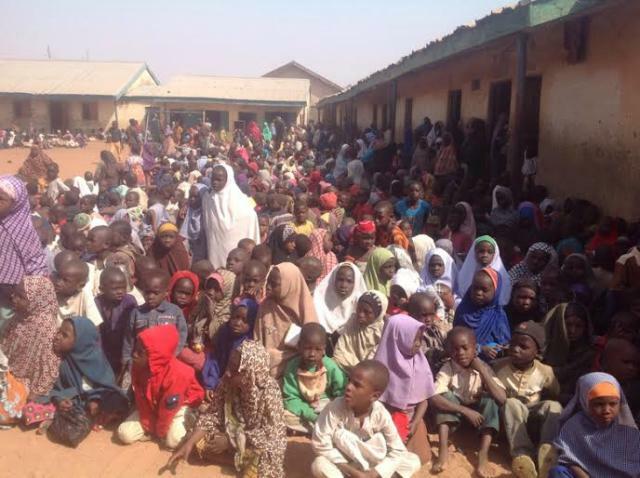 The schools include LEA Badiko, LEA Chawai Tudun Wada, LEA Unguwan Sanusi, LEA Mai Giginya, Igabi LGA. An education department staff of the local government who preferred anonymity told our correspondent that he was yet to be fully informed on why the vendors money were not forthcoming. “Only the schools technical committee can explain that because I don’t know why the vendors in primary schools in Tudun Wada West, Bakin Ruwa and Unguwar Sanusi don’t get their money,” he said. Further investigation by our correspondent also confirmed that to kickstart the programme, the state government merely put together women from across the state and engage them as food vendors without employing another set of certified caterers and health officials as supervisors. The food vendors were neither given any serious training nor asked to provide any minimun quaification in catering. The emphasis of goverment has been to empower women and not to provide quality, healthy meals to the kids. The content, safety and quality of what the children eat is therefore left to the sole discretion of the vendors. To make matters worse, the vendors are given freedom to cook from their respective homes and take to the schools rather than cooking the meals within the school premises where teachers and headmasters can at least see the way and manner, the environment and kind of water used in cooking for the kids. Other parents who spoke with our correspondent were of the opinion that kitchens should be built within school premises so that the food vendors would be preparing the food within the schools at the same time being monitored. This according to them is because it’s dangerous to allow women who may not be from their communities to be cooking food for their children. “Our children always complain about the food prepared by other women who are not from our communities. They always say the food, particularly the moi-moi is not tasty. 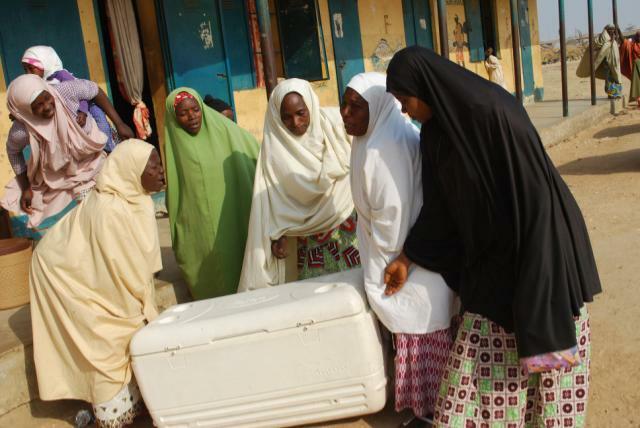 “We know women from our community will never prepare food that will not be tasty to give it to the children because their children equally attend the only primary school in this community,” Mallam Mikailu of Maigiginya village in Igabi Local government said. He also urged the ministry of education to ensure that officials are engaged to go round the houses of the vendors to monitor their activities. Malama Fatima is one of the food vendors in charge of over 90 pupils at LEA Badiko, Kaduna. She said cooking in the schools will be difficult for them because the schools lack facilities for that. “I don’t think it will be easy too cook in the school because there are no kitchens within the premises and you don’t expect us to be cooking in the open,” she said. Another food vendor, Malama Hauwa who is one of the vendors at LEA Bakin Ruwa in Igabi Local government also spoke to Thinkers on the issues. “I think the idea of providing supervisors to monitor food prepared by vendors will help in protecting the health of the pupils. If kitchens are built within school premises, it will be easier for the supervisors to monitor how food is prepared because issue of hygiene is very important. Apart from hygiene, the supervisors will also ensure that women who prepare food for the pupils equally taste it before serving the pupils. This is also important,” she said. On the constant reduction of their weekly dues, she said: “We are not happy about it because prices of foodstuffs like Yam, Tomato, Maggi have all gone up which means by reducing the money from about 23,000 to lets say 17,500 there would be no gain in the business. “And we know that the governor introduced the feeding programme to assist women to be self-reliant and we are happy to get the job but let the money return to 23,000 weekly” she said. 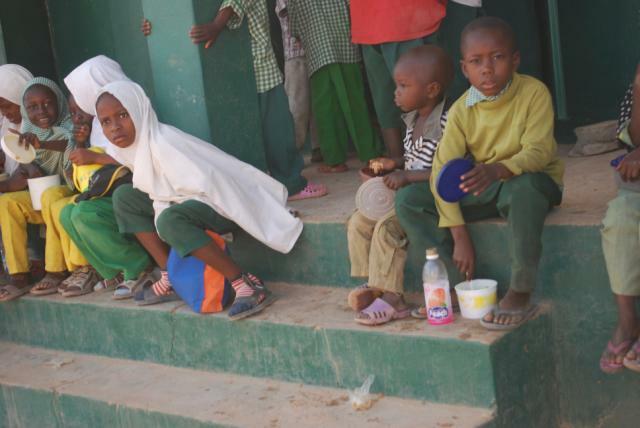 Our correspondent also learnt that many of the pupils often leave school after eating without any check, which suggests that both the pupils and officials seem to be paying more premium on feeding rather than scholarship. A class teacher who pleaded anonymity however said that in her own school at the start of the programme, some pupils were fond of leaving the school after eating. So, to address that problem, the school started serving the pupils in the classroom. “When we found that the children left the school after eating, we adopted the idea of serving them in the classroom, while lessons continue after the meal,” he said. The state government has however responded to few of the cases of corruption in the scheme. A senior education official in Zaria LGA was recently suspended for tampering with funds meant for the programme’s food vendors. 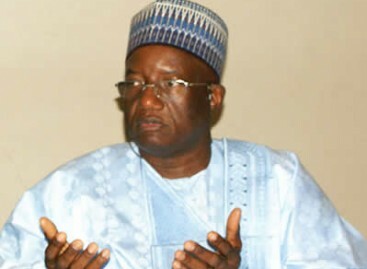 Governor El-Rufai also recently redeployed the Commissioner for Education, Shehu Adamu Dan Fulani to Commerce. While no official reason was given for the decision, sources told Thinkers that it was not unconnected with the mismanagement of the feeding programme under his watch. Approached by our correspondent on the observed lapses in the scheme, the new Commissioner for Education, Professor Jonathan Andrew Nok declined comments, saying he was yet to get acquainted with the office and programme in question. The governor’s spokesman, Samuel Aruwan also declined to take up the issues with our correspondent, directing him back to the ministry of education for response.